COLOR: Variegated reds towards the Cinnabar tones with a hint of neutral and bright white silk veins. Luxurious and beautiful in texture and color! 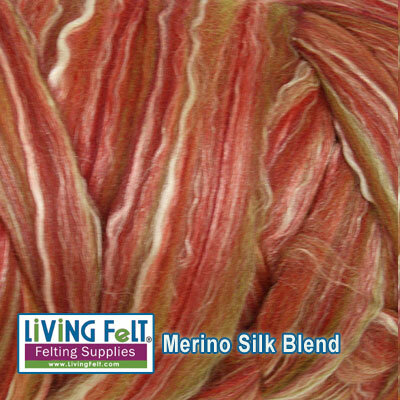 You'll love these for all of your felting projects, and especially those that are next to the skin.This is the same lovely wool top that is included in our felting a flower and nuno felt scarf kits.